There are many companies like us, but there is only one where you will be led by a combat soldier. Why make Kokoda an expensive bushwalk when it can be the emotionally challenging experience that you desire. See Kokoda through the eyes of a Soldier. Do you have a group of six or more? Contact us to obtain a package deal to suit you and your budget. We do our best to match you with other people of similar age, experience and interests. We aim to ensure you feel welcomed. 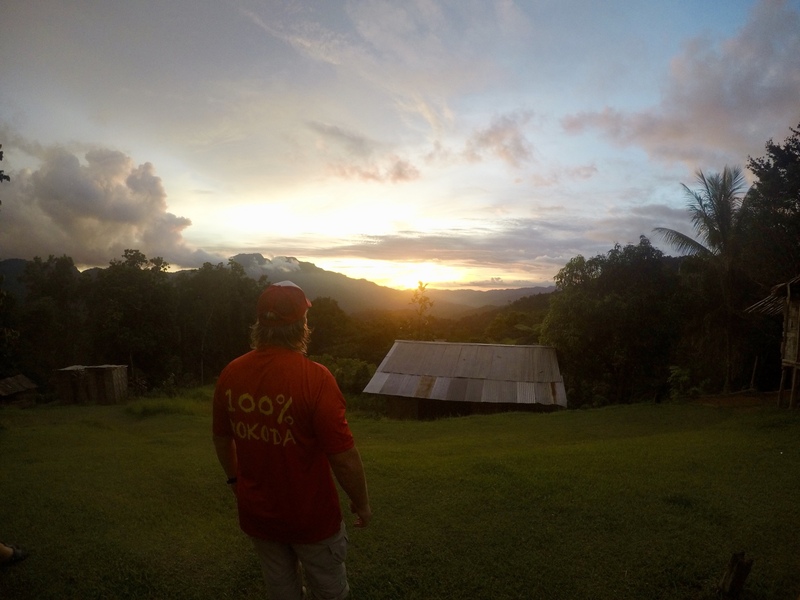 Trekking with 100% Kokoda is completely safe. We hire local porters and stay at the safest camp sites. There are no risks when you trek with us. You wouldn't do a first aid course with someone that read about first aid in a book, you'd want a Paramedic, a Nurse or a Doctor - a medical professional. Why do Kokoda with someone that read about soldiering and history from a book? See Kokoda through the eyes of a soldier, with somone that has combat experience, has trained to be a soldier, studied tactics, strategy and someone that can help you see the history through the eyes of the diggers.